Hey all, I have another Milani One Coat Glitter for you today. 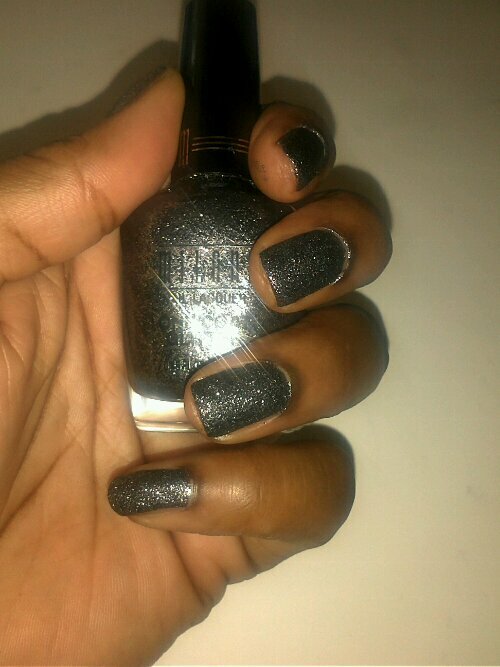 This Milani Silver Dazzle and it is a beautiful charcoal matte finish glitter. 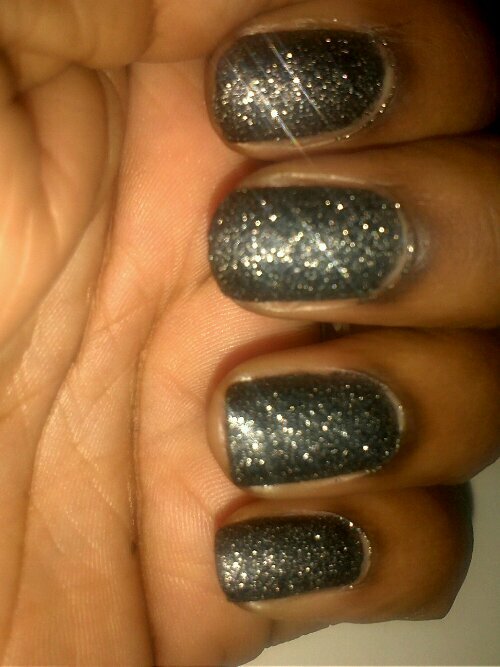 It reminds me of the Liquid Sand polishes that Mariah Carey just released. It reflects light really nicely and dries to a slightly rough texture. The pics below are without a topcoat. Just beautiful and reflective on their own! The last two pics are with no flash, and no sunlight. Hope you enjoyed! Comments are welcome as always, I love reading what you think about particular colors! First I want to say that I am shocked BEYOND BELIEF at the traumatic events that occurred yesterday at Sandy Hook Elementary School in Newtown, Ct. I have a nephew that is only two years old right now, but I can’t even imagine how I would feel if he had been a student at that school, let alone a victim of something so horrendous. My heart goes out to everyone affected by the tragedy, and I can only imagine how the parents of the survivors must feel…I dont know that I would put my child back in public school again. I also want to say that in honor of those that passed yesterday, I refrained from posting anything. Nail polish is a huuuge part of my life, but it just seemed unimportant yesterday as me and my family and friends were thankful for each other and for the ability to be in each other’s lives. The previous two days I have been sick, but im feeling much better now. 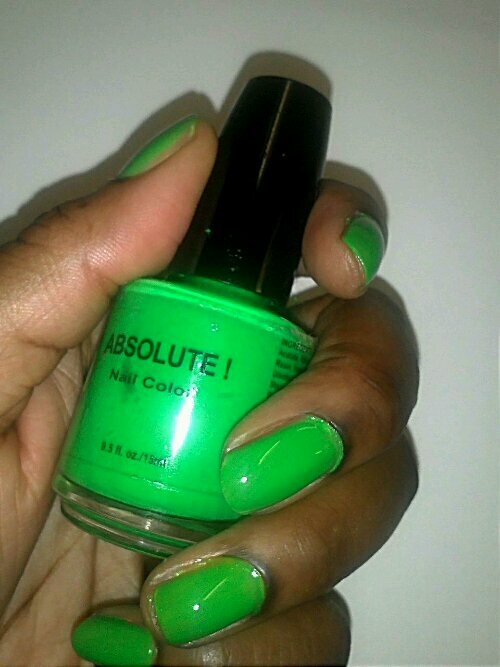 The polish that I have posted today is from a brand called Absolute! (It literally has the exclamation point on the bottle, lol.) 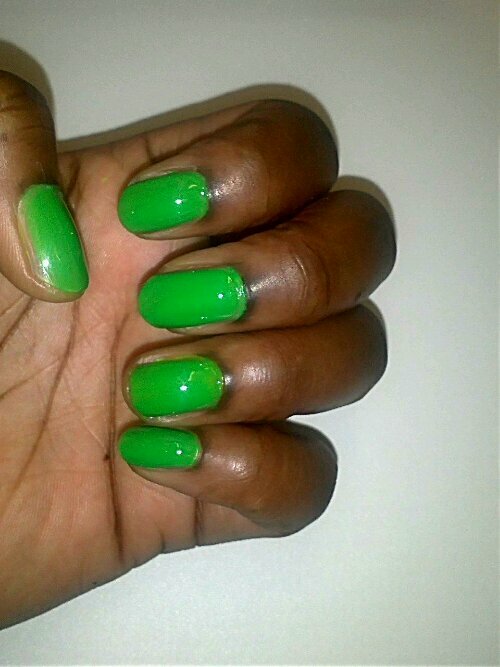 This polish has no name, however, so I just call it neon green. The color comes out quite well…if you can tell, my middle finger has 1 coat of white underneath the neon…and, honestly you really can’t tell. It’s just as bright on my other fingers! How cool is that? 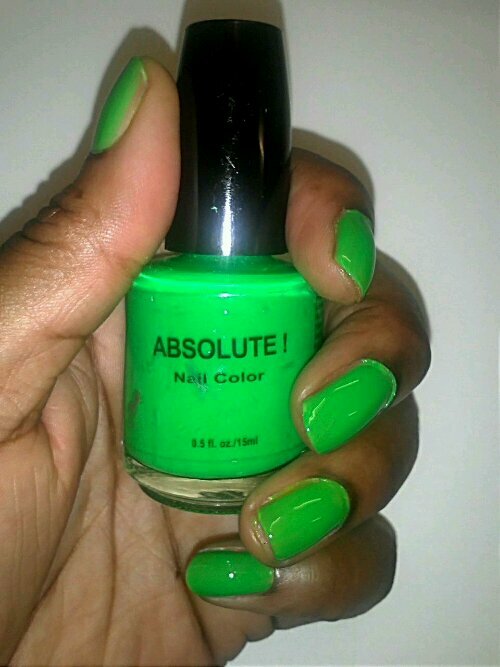 The color is jelly like, and like a typical neon, you are gonna need at least three coats, and it dries matte. This was three coats and a topcoat. 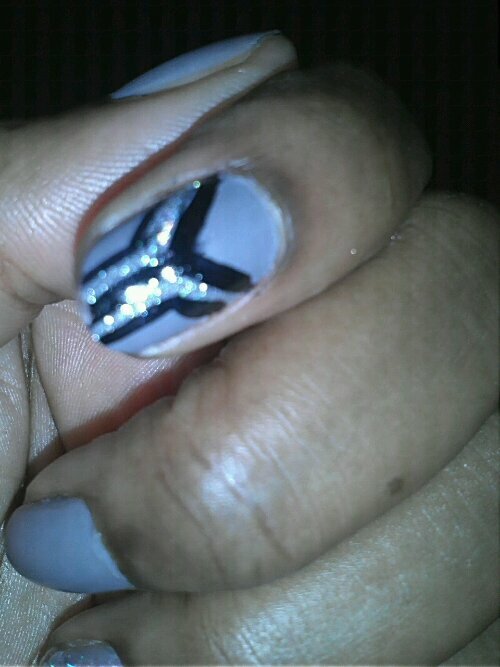 I love how when you add a top coat it COMPLETELY evens out the nail. No brushstrokes, or anything. Sweet. I did yesterday. 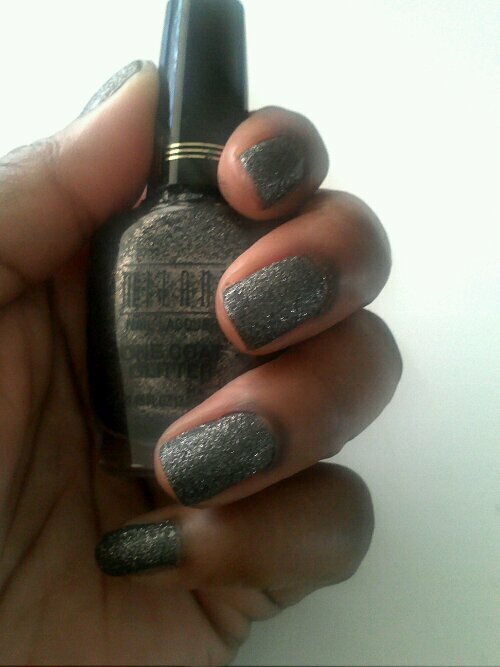 The grey is Color Club’s Untamed. This color is so pretty! 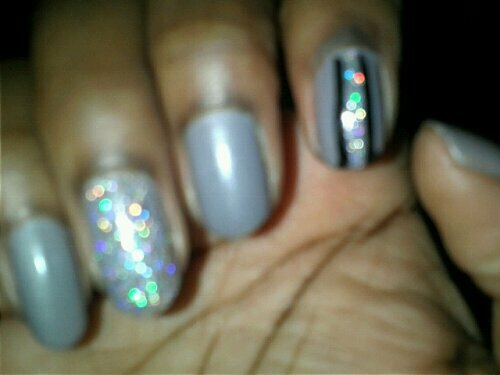 It is a light grey with pink shimmer. 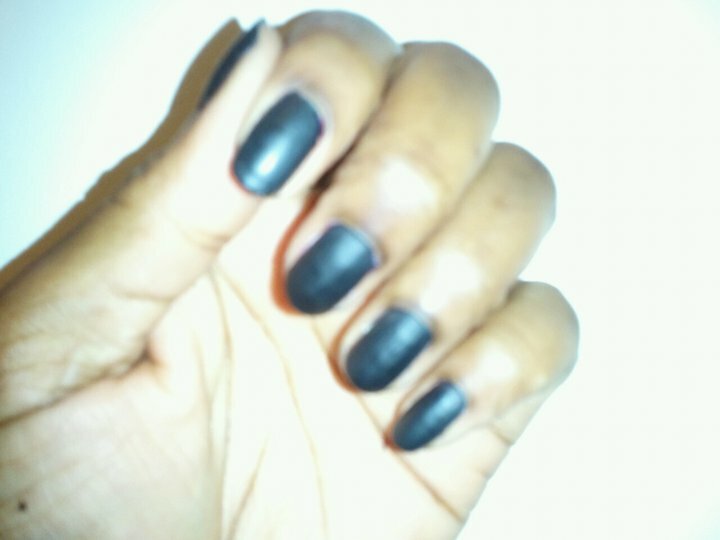 I used Essie’s matte top coat on four fingers, and used a black striper brush for accent. 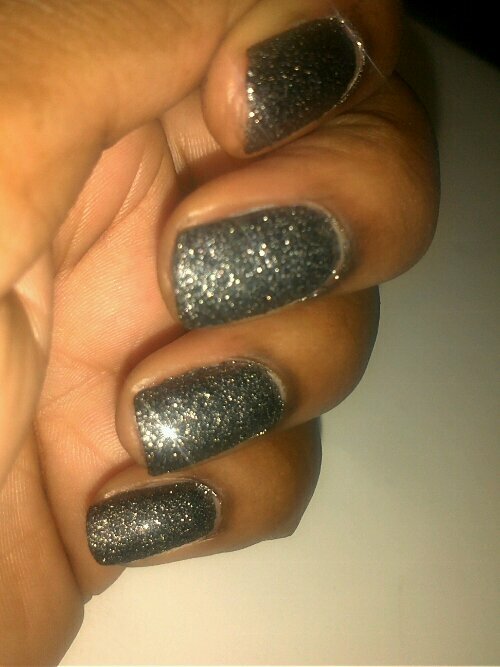 In betweeeeeen the black is a GORGEOUS glitter, Color Club’s from Sugarplum Fairy the Beyond The Mistletoe Collection. 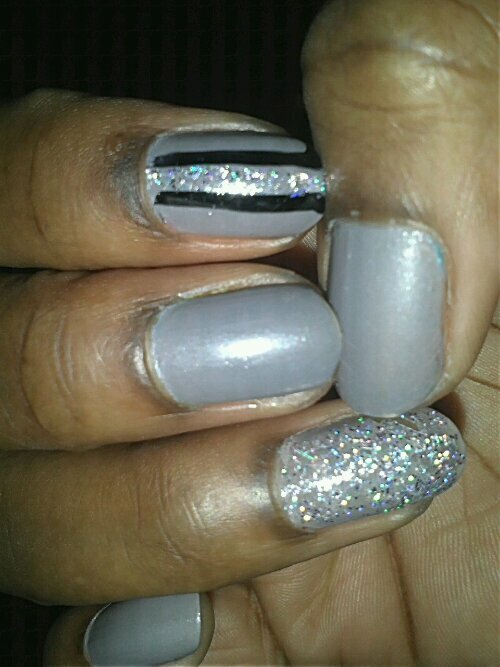 It’s a silver holo glitter….the closeup shows it in all of its holo glitter glory! Ohhhhh this reminds me of black leather! 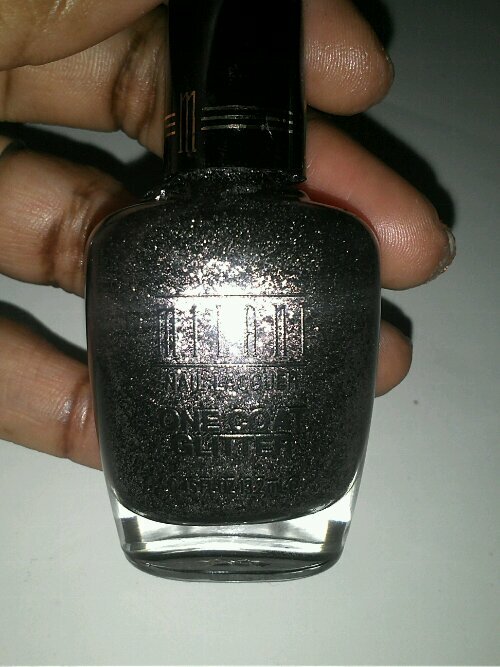 This is Sinful Colors Nail Polish in Black on Black. 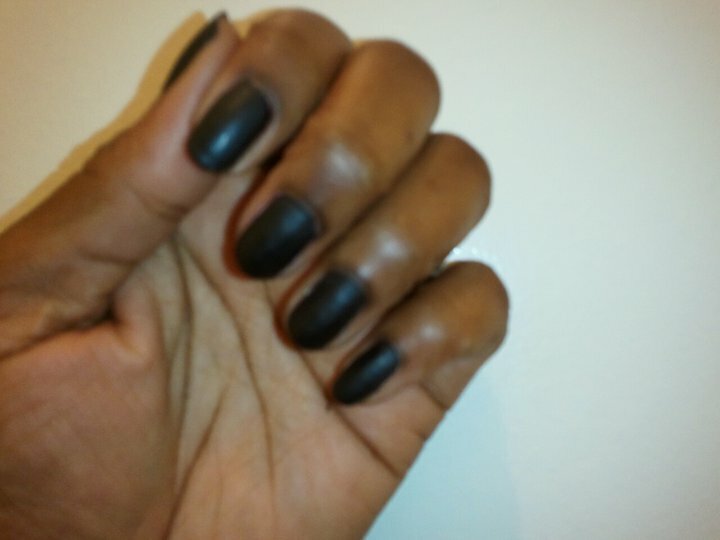 I picked up a bottle of Hard Candy’s Matte topcoat a few months ago and had yet to use it. 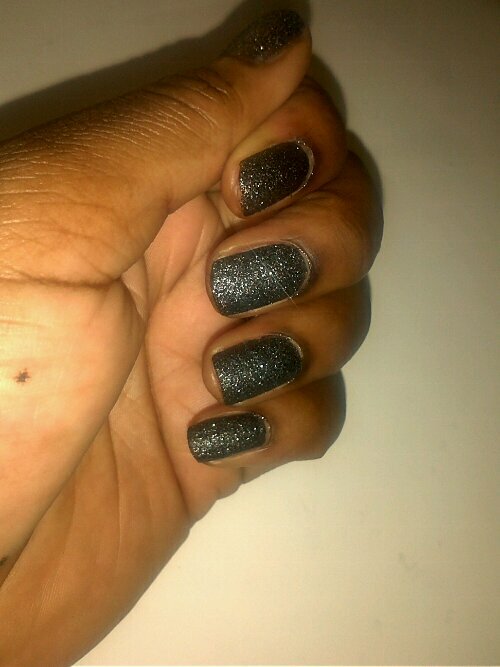 I decided to try it over black and Whoa…I think I fell in love. 🙂 Note: It does NOT photograph well in flash. But it still absolutely hot and goth and motorcycle-ish and makes me with I had a bike and helmet to go with it. One more pic to follow.